Benefit’s new product seems gimmicky and I was doubtful at first; however, as a Benefit fan I couldn’t resist. 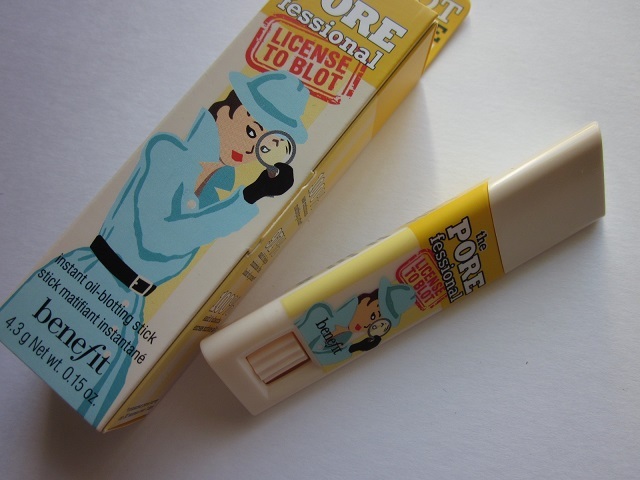 The Porefessional: License To Blot is an unlikely product to pop up on my radar, and rightfully so, since I’m not a fan of this product at all. As an “instant oil-blotting stick for a mattified complexion,” I was initially thinking that this would’ve been great for the upcoming spring and summer months. However, I’m sorely disappointed by this and I don’t recommend this product at all. 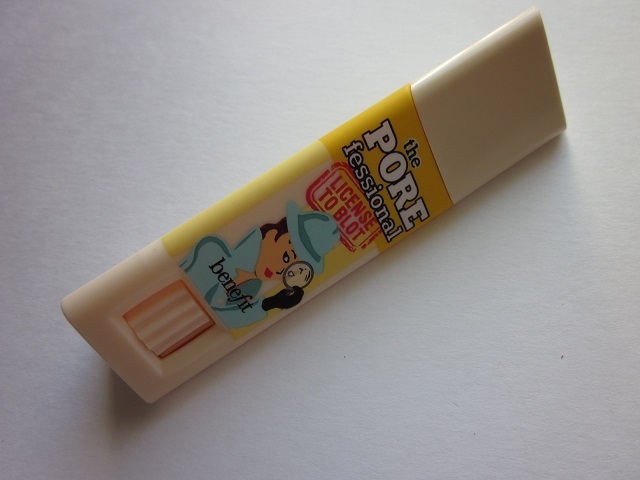 Benefit describes this product as an “instant oil-blotting stick with tiny invisible blotting spheres [that] mattifies shine for up to six hours after application.” Based on the product description, it sounds like it would be great for anyone with oily skin or a troublesome t-zone, I know. However, it’s an odd product that doesn’t do even a little bit of mattifying. In addition, the “specially designed triangular tip” may have been great for the sides of your nose, but for the forehead and chin, it was hard to cover all the areas since they’re both a wider, flatter surface. Other than that, the design and the packaging is really compact and thin, which makes it easy for on-the-go application; and, could be an item that would fit easily into your purse or makeup bag. However, since the product didn’t do much for me, it’s not going to be something that I’ll be taking around anyway. I applied this product in place of a face primer, after my skincare routine, and before my makeup application. 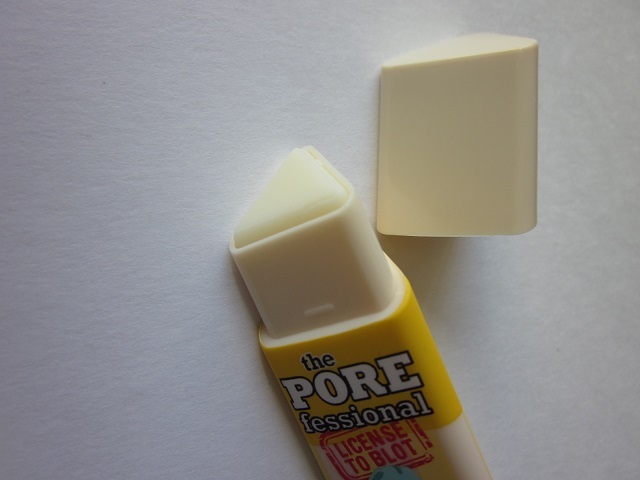 It feels a lot like slippery chapstick, so it glides on the skin pretty smoothly. 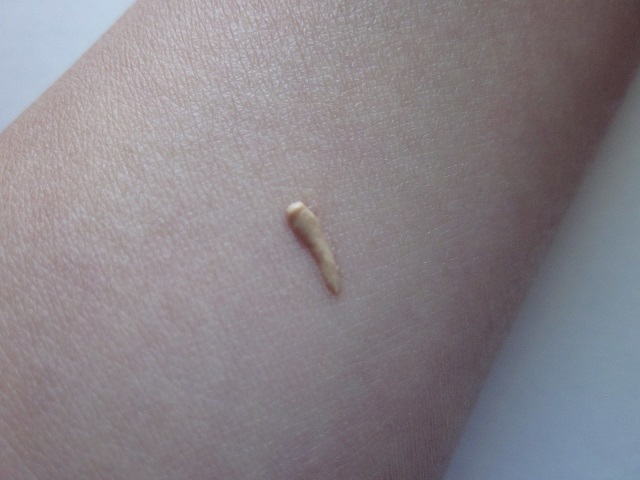 However, it just stayed there on my skin without really absorbing all the way and the more I tried to swipe on the product, the more it would ball up and peel off a bit. I felt that it was taking what I had applied underneath it with it as it balled up, so that concerned me a bit. I also tried to apply this after makeup on top of my foundation (before powdering) to see if that would make a different. It made it worse by balling up and taking off my foundation that I had just applied. 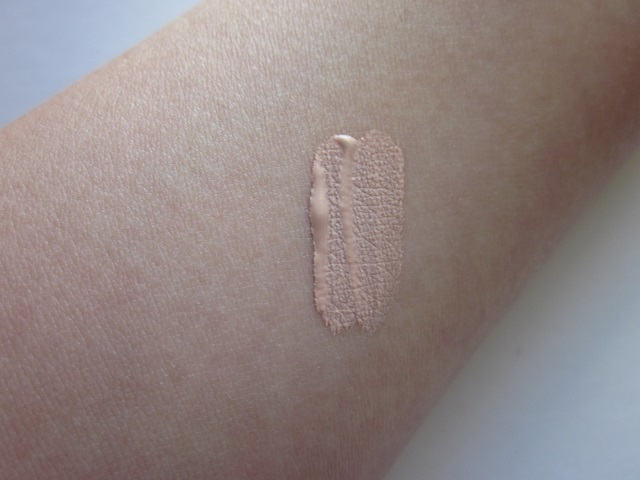 The tip of the product basically became the color of my foundation, and it was really annoying trying to figure out if I was going to re-apply my foundation in the areas I felt it had rubbed off. Even when the product was applied, it didn’t necessarily control my oil or help my skin look any better as the oil broke through. My skin reacted the same, like it does everyday, with the occasional blotting that I have to do. 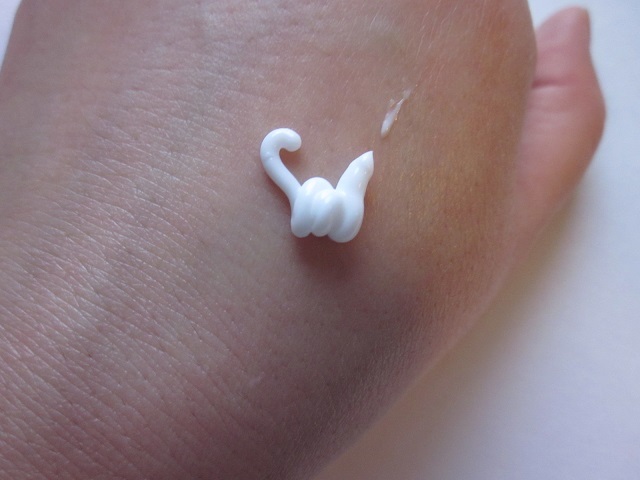 Additionally, it also didn’t really mattify my skin either since no matter what I did the balmly texture didn’t realyl absorb or sink into my skin. I didn’t like this product, even though in theory, it sounded like a product that I could really benefit from. I don’t recommend this and I would suggest a blotting powder instead for some decent oil-control. 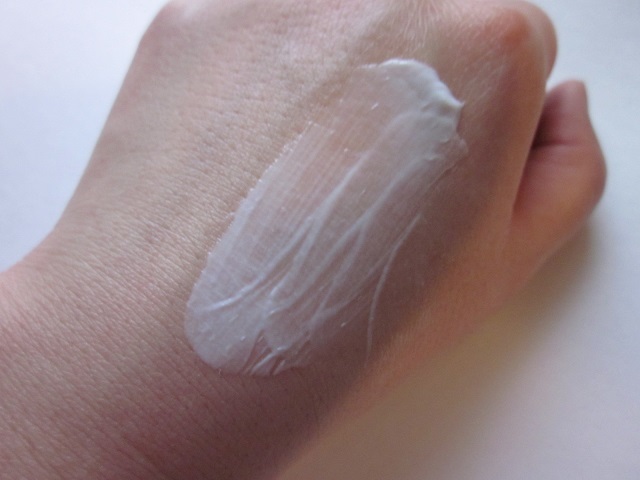 Primers are often a hit or miss for me; which makes me very picky when it comes to choosing and committing to a particular primer. For the most part, I can do without one — as long as I apply an oil-free/gel moisturizer for the day time that is lightweight, and I religiously blot twice a day while wearing a full-face of makeup. As for oil-control, I’ve learned that blotting and accepting that I have to blot is the best way to go since no product out there truly eliminates or prohibits my skin’s oil production! 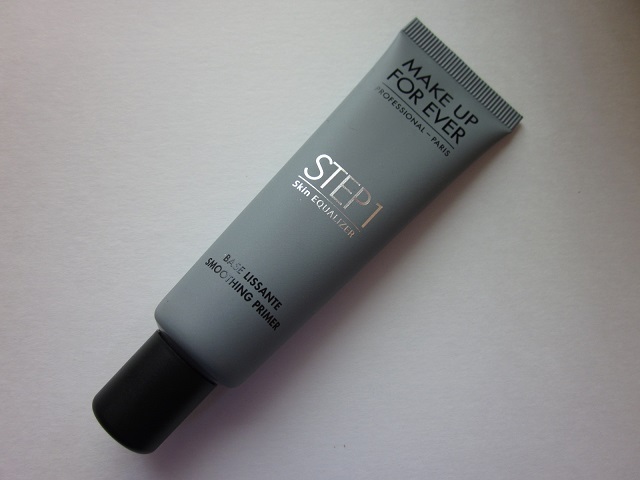 With that said, I was excited to get my hands on the Make Up For Ever Step 1 Skin Equalizer primers that are now available in 10 different formulas. What makes the Equalizer range so wonderful is that you’ve got multiple primers/formulas to choose from depending on your own skin’s needs. The Skin Equalizer primers are designed to be a “makeup primer that assists with balancing the skin’s texture and tone for smoother, more even, and longer-lasting makeup wear.” Additionally, these primers function as the first step in your makeup routine, and they’re supposed to “address your skin concerns with this innovative makeup primer” that can be “perfect for balancing skin and achieving an ideal makeup result.” For the most part, all 10 of the Skin Equalizers are lightweight and creamy, and depending on what your skincare concerns are, they seem to leave your skin more evenly-toned in appearance. I chose the Smoothing Primer, which seemingly may increase your foundation’s longevity; however, it’s equally hydrating, comfortable, and soothing on the skin. Make Up For Ever describes this primer to be for all skintones, and suggests that the formulas all leave “makeup looking fresh for hours while it hydrates, firms, and smooths the look of the skin.” The smoothing primer is supposed to even the skin’s texture, such as lines, pores, and any bumps along the way. I feel like out of the 10 formulas, it’s the best one to address textural issues rather than pigmentation issues. A little bit goes a long ways and it adheres to the skin very well — without disrupting the foundation application process. It’s lightweight without feeling to balmy or tacky; and, it seems that it absorbs pretty quickly without looking too matte or too slick. So, I’ve been re-vamping my winter skincare routine for the day time due to the strange weather we’ve been having in Texas. With the harsh winds and coldness that my skin is normally not used to, my skin had gotten rough and dry in some parts, while still being oily in the dreaded t-zone. In addition, with some recent stresses in life, my skin had gotten bumpy and irritated while breakouts had been surprisingly leaving me alone. When I have an emergency situation like this, I like to refer back to really gentle products that I know aren’t going to totally disrupt my skincare routine. Lately, I’ve been using the La Roche-Posay Toleriane Ultra and it’s helped my skin out tremendously the last few weeks. While I may stop using it once my skin clears up and returns to normal, it’s certainly a great product to have around for those “just in case” moments. The La Roche-Posay Toleriane Ultra is a moisturizer designed for “daily care to reduce the signs of skin reactivity.” It “provides hydration and alleviates irritation and provides intense, long-lasting comfort for highly intolerant skin.” As for my case, with the weather and stress, my skin was inflammed, red, and irritated from anything and everything. Since this is “formulated with 0% preservatives, 0% parabens, 0% fragrance, 0% alcohol, colorants and 0% lanolin,” it was a super gentle and soothing product to use. The “patented packaging technology guarantees a contamination free, ultra pure formula with every application.” And, in addition, “Neurosensine, a unique calming agent to help[s] reduce signs of reactivity immediately upon application and pure, natural shea butter acts as an anti-inflammatory to hydrate and soothe skin.” It was just what my skin needed at this time. Neurosensine: Helps reduce signs of reactivity immediately upon application. Ultra Purified and Minimalist Formula: 0% harmful, irritating ingredients. 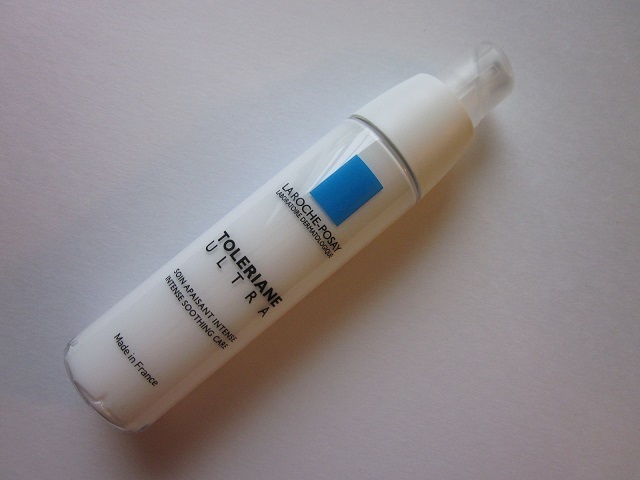 The texture of the La Roche-Posay Toleriane Ultra is thick and greasy on contact. Because of this, one pump of it is all you need. I just pump a little onto my hand and rub it in to warm the product up. Then, I take some a swipe it onto my cheeks, forehead, nose, and chin. I blend the product in — continuously warming it up on my skin — and then patting the product in afterwards to make sure my skin absorbs it. My skin feels instantly better and soothed, redness is reduced, and the bumps are still there but less noticeable. It’s surprisingly easy to work with, despite the texture feeling a bit difficult in the beginning. In the mornings, I’ve had to wait a little longer than usual for the product to absorb before applying my suncreen and then my base makeup. At night, I use two pumps to really get my skin safely coated in this stuff. In 3 days, my skin was pretty much back to normal. The bumps were nearly all gone, pimples that were in the process of healing prior were gone, and my skin was well-hydrated and plump from all the extra attention. However, it does get a bit oily and I noticed my makeup caking a bit around my nose and mouth — even when I didn’t have these tendencies before. After blotting a bit, it seemed okay. This stuff did wonders for my skin and seems to be soothing for my skin after a chemical peel. Although I wouldn’t incorporate it permanently into my morning routine as my daytime moisturizer, it’s great for healing. I think this is just good to have around, even if I don’t use it every day. When my skin is pretty good and I get a pimple or two, I apply this moisturizer before applying a spot treatment and it’s worked wonders for me. I don’t need it every day, but when my skin really needs it, I really benefit from using it so I highly recommend it! It’s been awhile since I’ve really liked, reviewed, and posted anything from MAC. 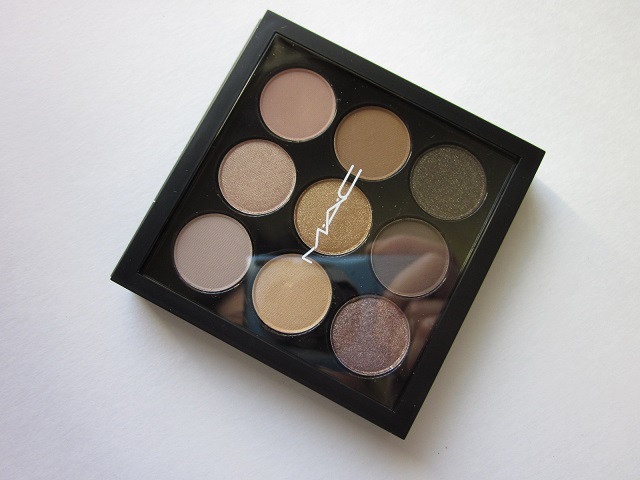 However, with the “Amber Times” Nine Eyeshadow Palette, I feel like coming around to re-visiting MAC products. 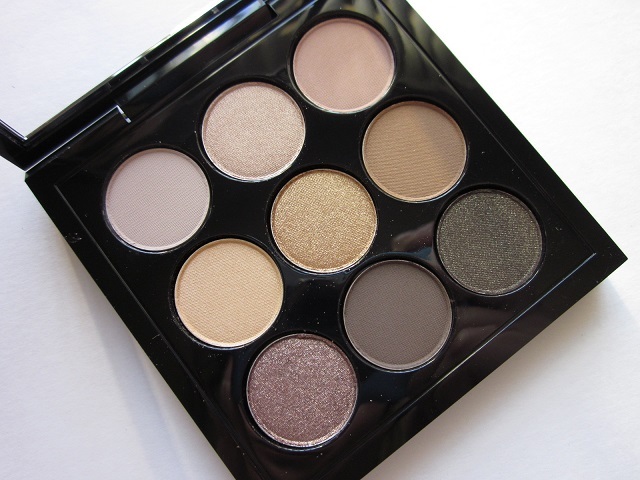 This palette was also featured in The Beauty Look Book’s blog in a post titled Weekend Loves + Reads. I highly recommend to check out her blog and this post too. This palette featured 9 eyeshadows. It’s small and compact, but just enough versatility and product to make it worth it for me. Described as “a well-edited eyeshadow palette,” it “features a color wave of hues that offers countless shade combinations.” It leans neutral, but can be varied in use since there are darker tones to make your makeup look more dramatic. Also, “an array of textures, ranging from matte to satin to frost, lets you create a variety of looks for both day and night.” In addition to the versatility and portability of this palette, the shadows are “saturated, soft and smooth,” and the sleek compact is a bonus on my end. 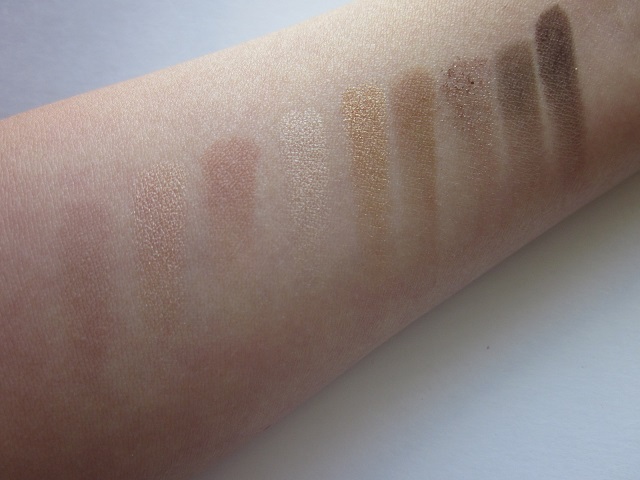 Here are the shadows swatched. The colors are buildable, but translate very light on the skin. This palette houses permanent shades as well as colors that are unique to this palette. I recommend this palette. For me, I plan on using this for travel purposes. In the next few months, I’ve got some trips planned and I don’t want to lug around a bunch of single eyeshadow pots and other bulky palettes. So for me, this will do for the upcoming trips. The shadows are small, so I think it’s well-worth the $40. It’s always to have really good tinted moisturizer on hand, especially for lazy days, no make-up days, and for travelling. For me, on days when I don’t need a lot of coverage, I like to let my skin really show through. 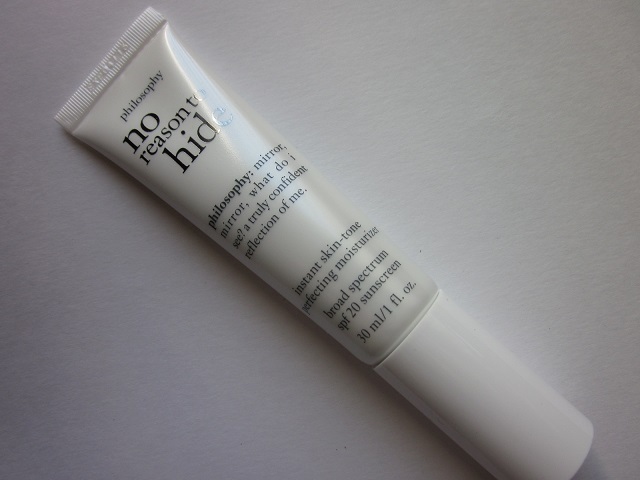 I started using the Philosophy No Reason To Hide Instant Skin-Tone Perfecting Moisturizer after I started reading reviews about it, and so far, it’s been really good and I recommend it. As a “multitasking moisturizer that instantly evens out the look of your skintone and texture in one simple step,” it’s good for weeks like this one where it’s been nothing but gloomy, rain, and cold. 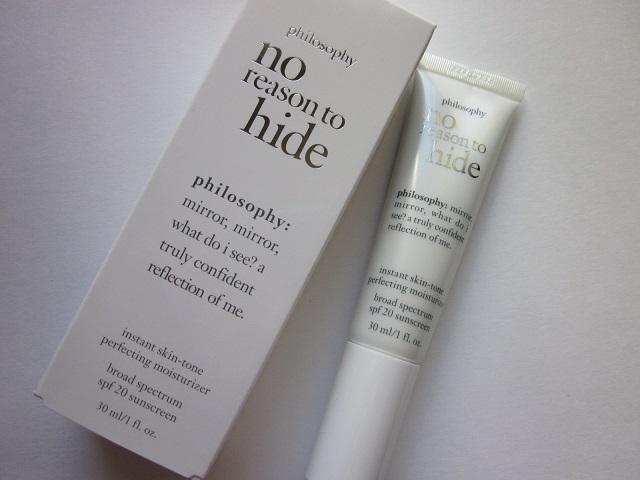 I’m not that familiar with Philosophy in general, and I’ve never really tried any of their skincare products. However, I’m still a really big fan of the Philosophy Purity Made Simple Mask that I reviewed, and it definitely left the doors open for me with this brand. 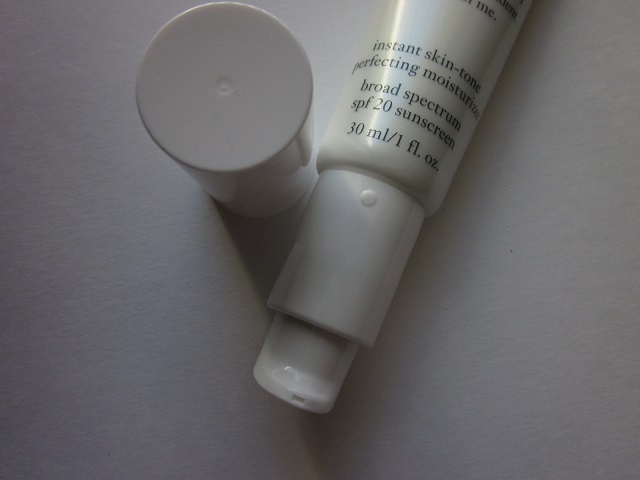 The No Reason To Hide Instant Skin-Tone Perfecting Moisturizer is essentially a tinted moisturizer. The “hydrating formula perfects the appearance of uneven areas and enhances complexion for a radiant, refreshed, healthy-looking, and smooth finish.” Other products within the “No Reason to Hide” line are the No Reason To Hide Multi-Imperfection Transforming Serum and the No Reason To Hide Total Transformation Team Duo that contains a 0.5 oz Multi-Imperfection Transforming Serum and a 0.5 oz Instant Skin-Tone Perfecting Moisturizer Broad Spectrum SPF 20 Sunscreen in Medium. This product is nice, lightweight, and smooth. It applies easily, blends out wonderfully, and dries down to a semi-matte finish that is still natural and glowy without looking like foundation. 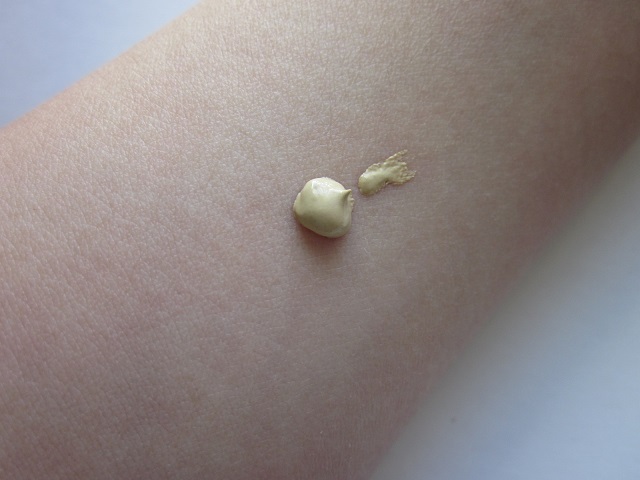 Since it functions as a tinted moisturizer, it’s best to not expect any real degree of coverage like from a foundation or BB/CC cream; however, it does even out redness and gives the skin a more uniform look. It’s also important to note that there isn’t coverage, let alone buildable coverage. While in some cases, people have used this in place of their regular moisturizer and sunscreen, I would advice against that. The product alone isn’t all that hydrating and a thin layer of SPF 20 won’t really do much. That’s way I still cleanse, tone, and moisturizer as I normally would in the mornings. I apply my sunscreen and the dab on this product onto my skin. I blend using a dense synthetic buffing brush, but using your fingers can also do the trick as well. In addition, I don’t powder over this product since I like that natural glow that it provides for my skin. Having said all this, this product is really for those who don’t use makeup or a lot of it, and for those who don’t have major skin issues — like acne, bumps, and/or major discolorations since this won’t hide them. Also, there is a bit of a slight iridescent sheen with this product which some people may like. I’m okay with it since it isn’t glittery or shimmery. I use the shade Light and it works out fine since the product is so sheer. There’s only two shades available, which is odd; it’s just Light and Medium. It would’ve been nice if a deeper/darker shade was available and a fairer shade was available. The color selection is so limiting that Light, for me, would a be on the darker side. However, since it blends out so sheer, it almost doesn’t make a difference. I use this product on days when I’m going to the gym or I know I’m not going to be doing much and will be indoors. If I’m going to be out and about, I still layer on regular sunscreen under this and that’s fine. 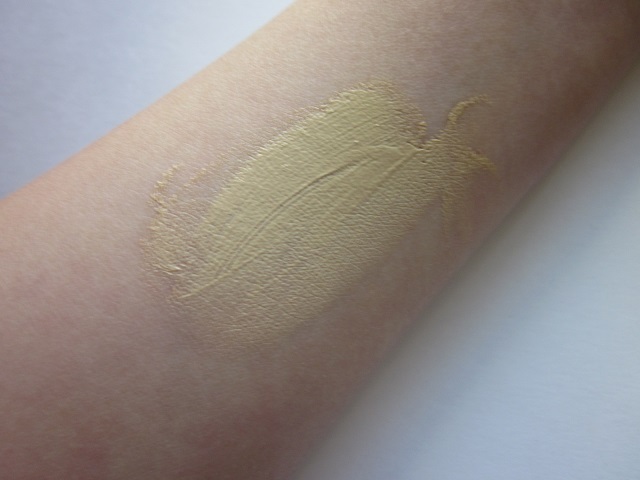 However, the product is super, super sheer and sometimes I need some additional concealer to help my skin out a bit. For these reasons, I’d recommend it only to those who don’t need much on their skins to begin with. Not many people incorporate toners into their skincare routines, but for me, it’s an important part of restoring my skin’s balance after makeup removal/cleansing. Previously, I’ve written about a variety of toners, such as the AmorePacific Treatment Toner, the Clé de Peau Beauté Refreshing Balancing Lotion, the La Mer The Oil Absorbing Tonic, and the Estée Lauder Micro Essence Skin Activating Treatment Lotion. I’ve also reviewed the SK-II Facial Treatment Essence as well. After using up those products, I’ve been using the Sulwhasoo Snowise EX Brightening Water, now that this Korean range is being sold on the Nordstrom website. Personally, I like toners that are soothing and not stripping. I like beneficial skincare ingredients to be a part of the ingredients, and I prefer toners that actually do something — such as soothe, treat, brighten, and hydrate. The Snowise toner balances and brightens my skin, while keeping it hydrated and supple. It’s the perfect first step before I apply my serum/moisturizer; and, I like to use this toner for both daytime and nighttime. I’m really liking the toner so I’m considering the Snowise EX Brightening Serum and the Snowise EX Brightening Cream as well. Additionally, I think the Snowise EX Brightening Mask and the Snowise Brightening Serum BB Broad Spectrum Sunscreen SPF 50+ are also worth looking into. 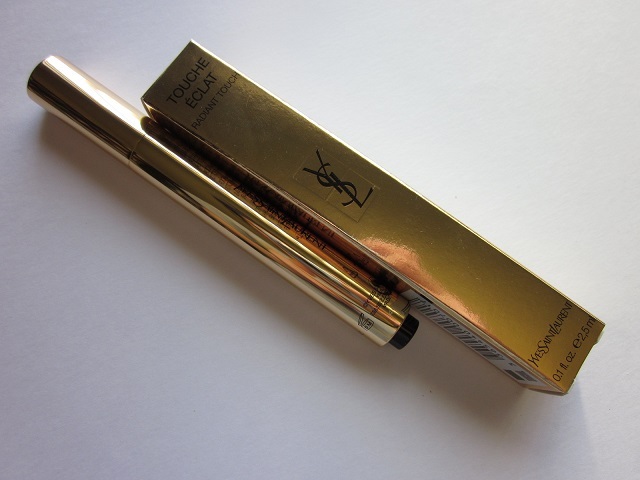 It’s time for an update on the Yves Saint Laurent Touche Éclat Radiant Touch since I recently re-purchased this item. For the most part, it’s safe to say that this item is a staple in my makeup bag and it’s worth the re-purchase. In addition, even when it’s not regularly “on rotation,” I still make sure to have it on hand since I notice a huge difference when I don’t use it. I know that in Korean beauty magazines, this item is often referred to as the “magic pen,” and in many ways, it is! 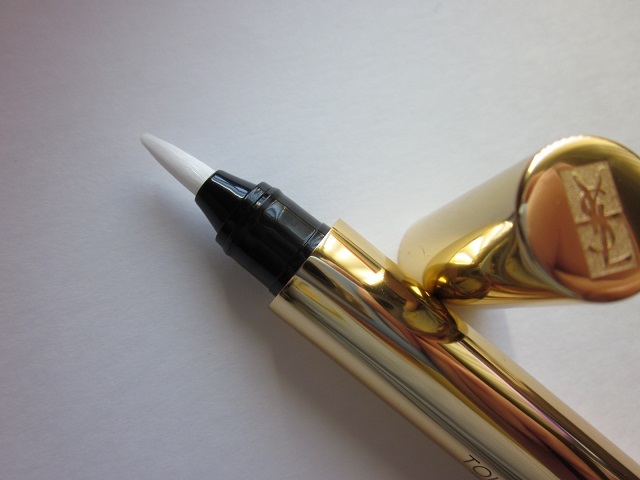 As a “luminizing pen that brings light and radiance to the skin, immediately erases any signs of fatigue, and brightens the complexion,” the Yves Saint Laurent Touche Éclat Radiant Touch is worth the price. It’s important to not consider this a concealer or even an under eye concealer. If you’re expecting for this provide coverage and erase imperfections, you’re going to be disappointed. The key to this product is to use it correctly, and to understand what the purpose of this product is. The Touche Éclat Radiant Touch “banishes shadows and tired-looking eyes by adding light and creating an instant lift to the eye area.” So, if you’re looking to give your eyes an extra oomph, you need to conceal your dark circles with an actual under eye concealer and pat it into your skin. Then, you apply the Touche Éclat Radiant Touch on top to brighten up the area. This product “widens eyes when used between the eyebrows and along the sides of the nose, and creates fuller looking lips when used in the hollow of the chin and around the contour of the lips.” In essence, it’s a way to give your face a little somethin’ somethin’ without it being detectable. What I like to do is after applying base makeup — whether it’s a BB/CC cream, tinted moisturizer, or a foundation — I give this a few pumps and swipe it under my eyes, down the bridge of my nose, and along the high points of my face (cheeks). I blend it in before applying blush and etc. I use the shade “1 Luminous Radiance,” which is “for fair to light complexions with pink undertones.” It blends in quickly and easily and absorbs right away. There’s no sticky feeling but it doesn’t budge. The Touche Éclat Radiant Touch is “formulated for all skin types and for anyone who wants instant radiance, luminosity, and lift.” At first, it doesn’t seem like the product is doing anything because you can’t see it or feel it. You wonder what it’s actually doing until you step away from the mirror, and you realize that your skin/makeup looks really great. Something is different and noticeably wonderful, but you can’t quite decide what it is. It’s the Touche Éclat Radiant Touch, I promise! The Benefit Roller Lash Mascara “lets you create ultra-long, full lashes to achieve your best wide-eyed and gorgeous lash look. With a brush that’s designed to grab and lift lashes for a super-curling effect, it’s perfect for all types—including short and straight lashes.” I’m very happy with this mascara and that’s saying a lot since I’m so unbelievably picky about them. The formula is in-between wet and dry, so it gives you enough ability to get the best of both worlds. 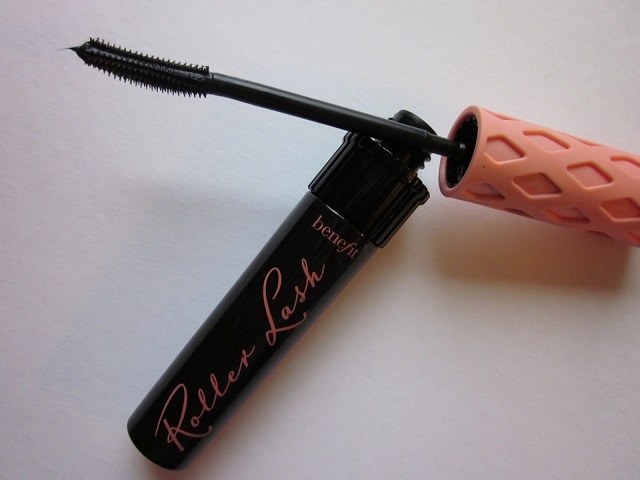 The texture of the mascara is quite creamy, but applies evenly. 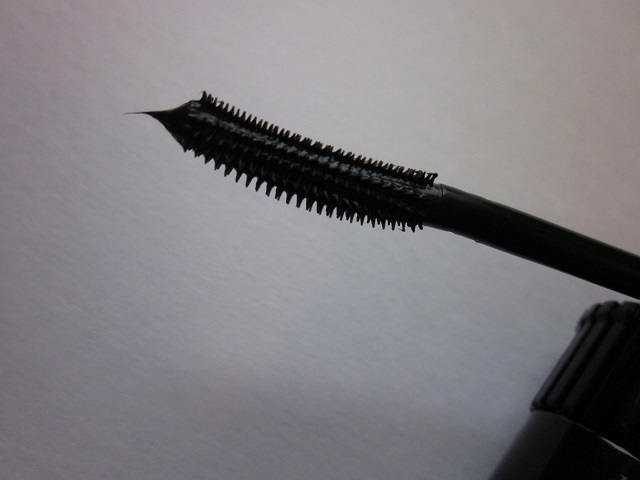 It thickens up the lashes just enough to give you noticeable volume, but it isn’t sticky or tacky so it doesn’t get messy or goopy during application. 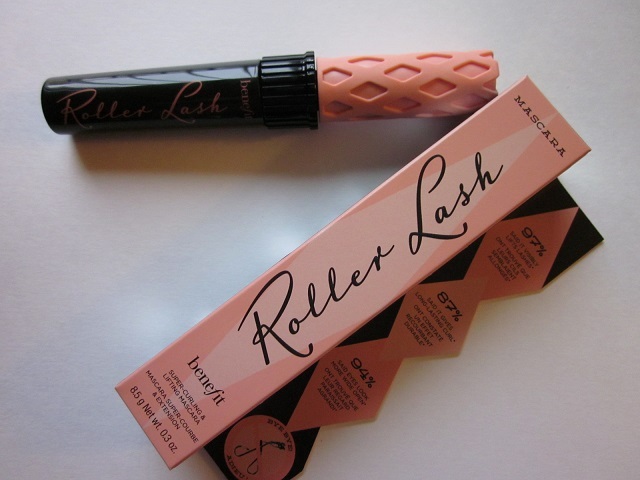 In addition, I like that this mascara has a straight wand and not a curved one. I hate curved wands. Since I have quite wimpy, sparse, straight Asian eyelashes, I need all the lift I can get. While Benefit claims you just toss our your eyelash curler, I definitely curl my lashes before applying this product. The bristles are plastic and spaced out, which kind of worried me. But it works with the formula perfectly and coats my lashes well. 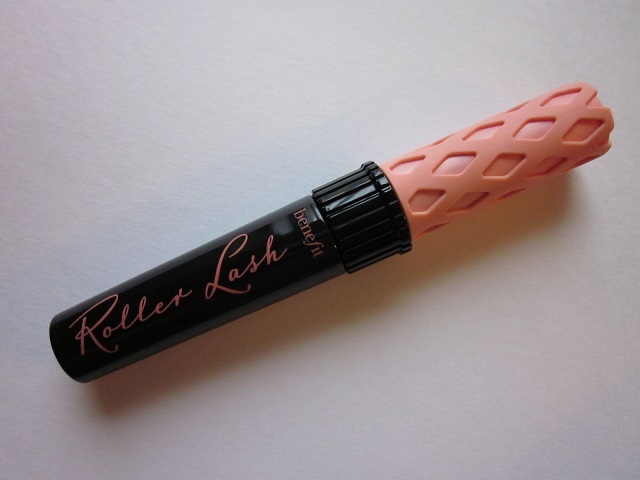 Any mascara that can hold the curl is a winner in my book, and this one gets the job done. You have no idea how much this excites me since I’m always dreading re-ordering my beloved Japanese mascaras from overseas. The degree of the curl is held well, and can withstand weather and my watery eyes. While the curl doesn’t fall, sometimes I feel like throughout the day it may fall a teeny tiny bit. I just re-curl my eyelashes if it bothers me, but for the most part, I can live with it. I’ve noticed that the mascara’s formula is a bit waxy, so you have to put a bit of work into it during your makeup removal process. But I’m used to that anyways so I don’t mind. I recommend you give this mascara a try.